If you know me, you know that I'm a champion for certain guns, more than others. While I try to be fair and unbiased, I am human and can't help what I like. In the case of the mighty home defense shotgun, my go-to is a Mossberg 500. In my humble opinion Mossberg has been doing it right for decades and their quality control has, to my knowledge, never suffered like some of their competition's has. About a year and a half ago, I did a review for a different publication on a Mossberg 500 Flex. That's a great platform, and I highly recommend it. They make great guns, are one of the biggest gun manufacturers in the United States, and they have finally broken their mold–venturing into the handgun market for the first time in about 100 years. They just announced their MC1sc and from first impressions it looks pretty good. Some of the things I'm pretty excited about are the clear magazines. My eyes are pretty bad and if I'm distracted while loading mags at the range and forget how many rounds I've loaded, looking into the little peep holes on the back is strenuous on my eyes. Having clear mags so I can see without a doubt how many rounds are there is a huge benefit to me. The MC1sc comes with two mags, a flush 6 rounder, and an extended 7 round mag. While capacity seems to be the name of the game these days, there is some innovation here that I'm pretty stoked for. 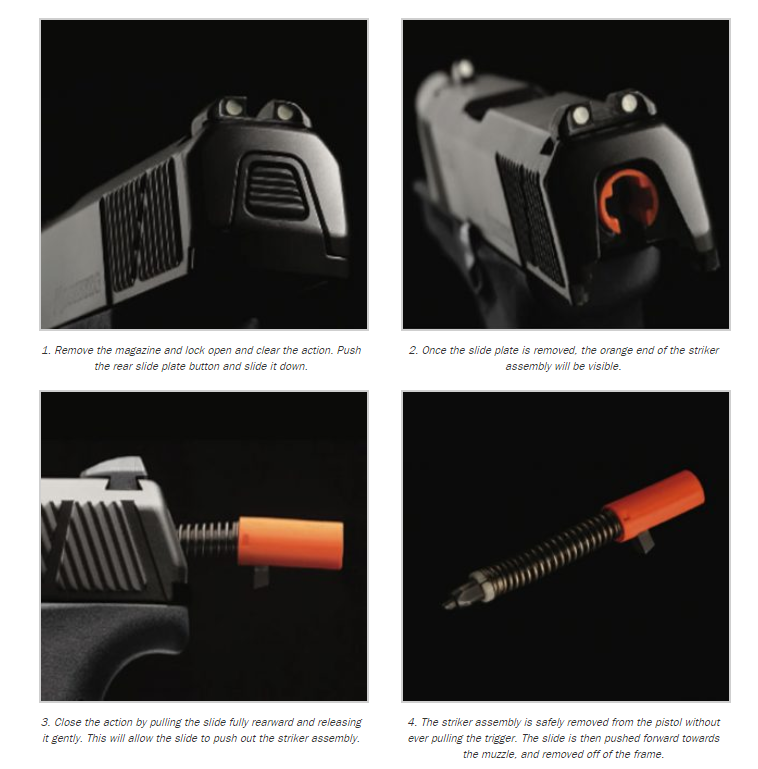 Perhaps the most innovative thing I've seen in a while, is what Mossberg is calling their Safe Takedown System where the user actually removes the rear slide plate (with striker), in order to take the gun apart for cleaning and maintenance. I'm looking forward to seeing how this takedown works, and plan to request a pistol from Mossberg to test. 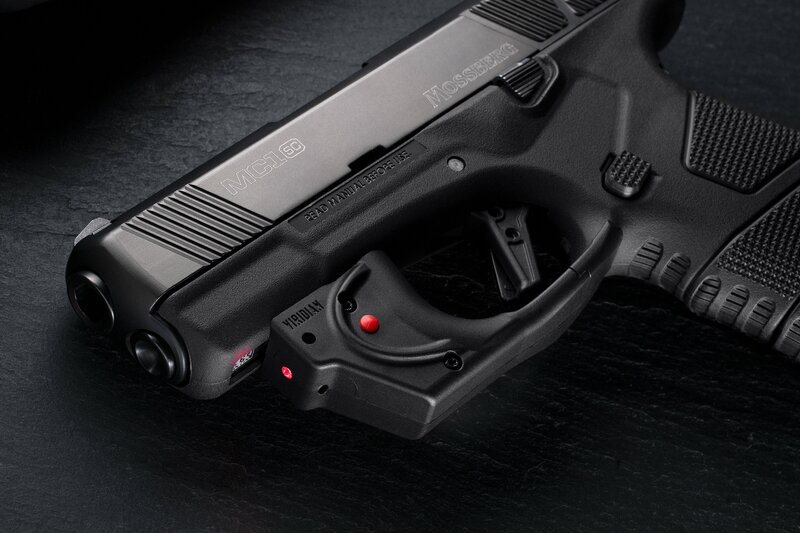 I know plenty of people who place their thumb on that rear slide plate as they're re-holstering, so it'll be interesting to see how much pressure is needed for it to come out, or if it does come out un-intentionally. My guess, however, is that they thought of that already. Subscribe to our Newsletter — We send out all pertinent information via our newsletter. Get our App — We send out breaking news via our app. Subscribe to our Podcast — We'll discuss new products here, and even podcast directly on the showroom floor at SHOT Show 2019. Don't miss this. Subscribe to our YouTube — We literally want it to be like you're there with us. Just search for our past SHOT videos to see what I mean. Follow us on Facebook — Last year we did Facebook Live, and we always publish our articles there. If you're on FB, you NEED to follow us. Follow us on Instagram — We did some coverage on Instagram last year. If you're on Insta, you need to follow us. Follow us on Twitter — If you're on Twitter, we publish a lot of stuff over there. Follow us on Pinterest — We've been putting more and more stuff up on Pinterest, which is a great place for picture sharing. Nice. The Centennial model looks pretty good. S’long as it goes bang. I’m interested in seeing it. Maybe even purchasing for my collection of several handguns. Even the wife is wanting to try it. She likes the videos we seen on it. I have one. It is now my EDC. For a small CC, it fires easily and accurately. Looks like a nice alternative to the G43. But it’s an 11:00pm areival to a 7:00pm party. Brings nothing new other than clear magazines.